Why do we perceive certain people as heroes? What qualities do we see in them? What must they do to win our admiration? 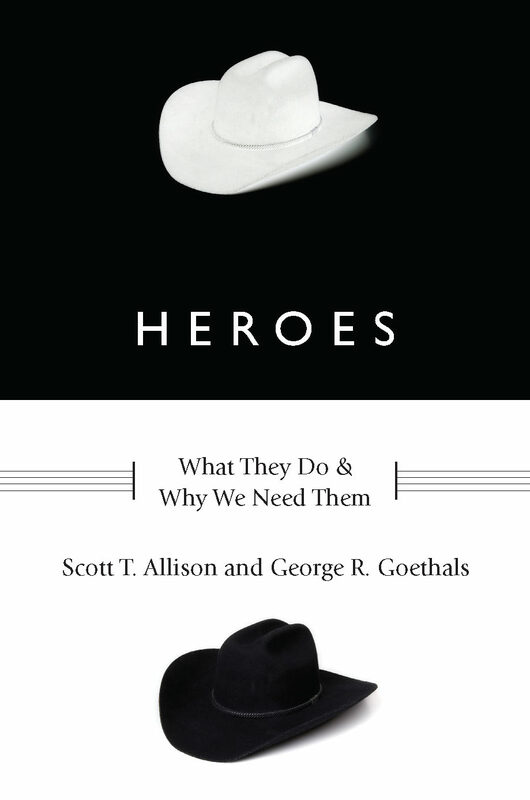 In Heroes: What They Do and Why We Need Them, authors Scott T. Allison and George R. Goethals offer a stimulating tour of the psychology of heroism, shedding light on what heroism and villainy mean to most people and why heroes — both real people and fictional characters — are so vital to our lives. Check out the authors’ interview on NPR’s Radio Lab program, in which they discuss their research on underdog heroes. In their book on Heroes, the authors discusses a broad range of heroes, including Eleanor Roosevelt, the Beatles, Walt Kowalski in Gran Torino, Abraham Lincoln, and explorer Ernest Shackleton, plus villains such as Shakespeare’s Iago. The authors highlight the Great Eight traits of heroes (smart, strong, selfless, caring, charismatic, resilient, reliable, and inspiring) and outline the mental models that we have of how people become heroes, from the underdog who defies great odds (David and Goliath) to the heroes who redeem themselves or overcome adversity. Brimming with psychological insight, Heroes: What They Do and Why We Need Them provides an illuminating look at heroes — and into our own minds as well. Heroes: What They Do and Why We Need Them, published by Oxford University Press, is now available for purchase.